My love of thrift stores is three-fold: not only do I love finding a diamond in the rough, but they also help me decorate my home on a DIY budget, and to live a greener lifestyle. I’m not super crunchy, but I try to do my best to recycle when I can. Just imagine if all the stuff that people didn’t want ended up in landfills. Suddenly we’d be swamped with trash like Earth in that Disney movie, Wall-E, and we’d all be forced to start over on the moon or some other unscathed planet. HA! So it makes me so excited when I see new products hit the market that support recycling and making our environment more green! I like supporting these products. I wanted to put together a post to honor green living, my friends. 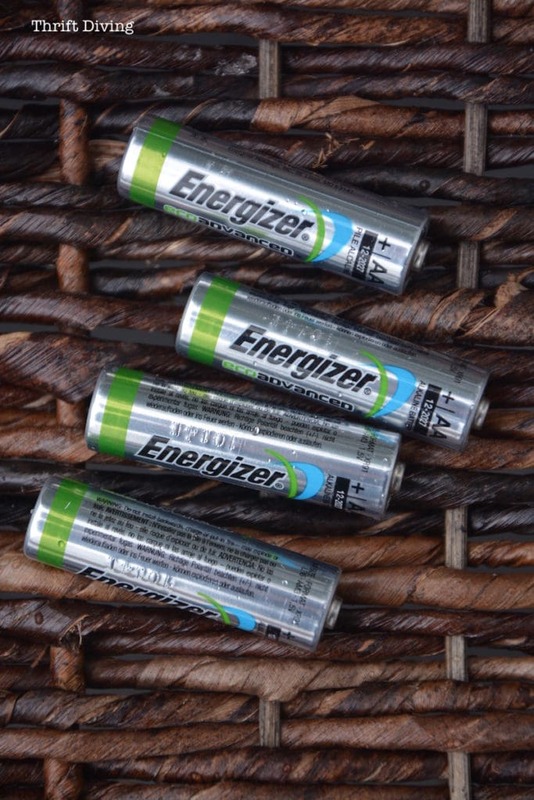 I wanted to share my favorite 5 things to buy from the thrift store to support a green environment (some of in which you can actually use the Eco Advanced batteries without guilt!). Actually, there are a ton of things to buy at the thrift store, but here are my favorite 5. As much as I love clocks and how simple they can be to make a bare wall feel less bare, would you believe we haven’t hung a clock for nearly 4 years? 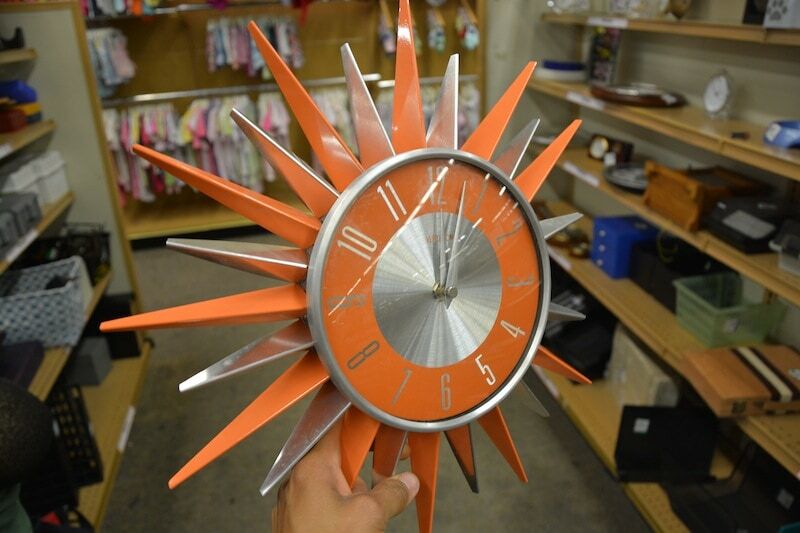 I’m still drawn to them, though, and am always looking for cool ones, like this vintage clock I had scored. When we moved to this house, we just started using our phones, microwave clock, and stove clock. But I wanted a clock for my new basement office for when I am doing projects and I can easily glance up and see what time it is without having to spread paint everywhere. I went to the thrift store yesterday to see what they had on hand (25% off–yeah! ), and wouldn’t you believe they had the perfect clock just waiting there for me?? I wanted it the moment I saw it. 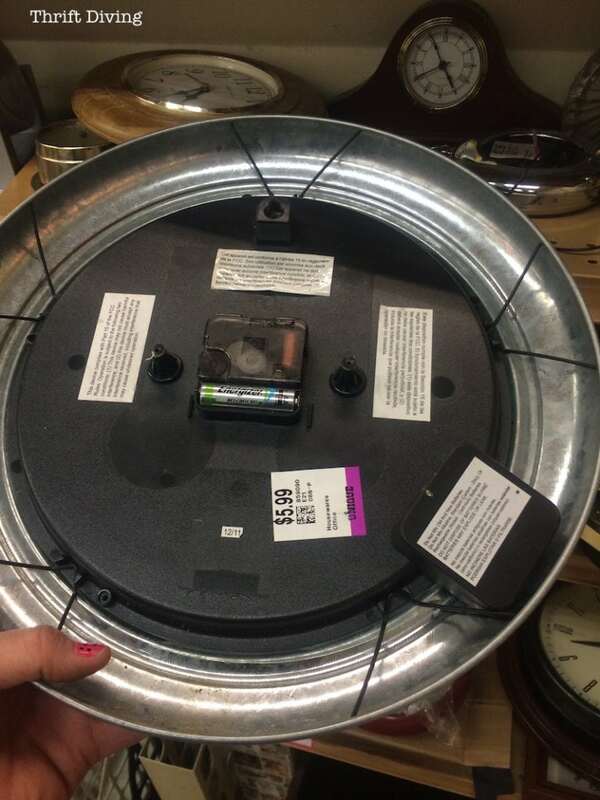 TIP: When buying clocks from the thrift store, you should carry your batteries along in various sizes to ensure the clock actually works (before you buy it), as most thrift stores won’t do refunds (maybe only exchanges). You don’t want to waste your money. 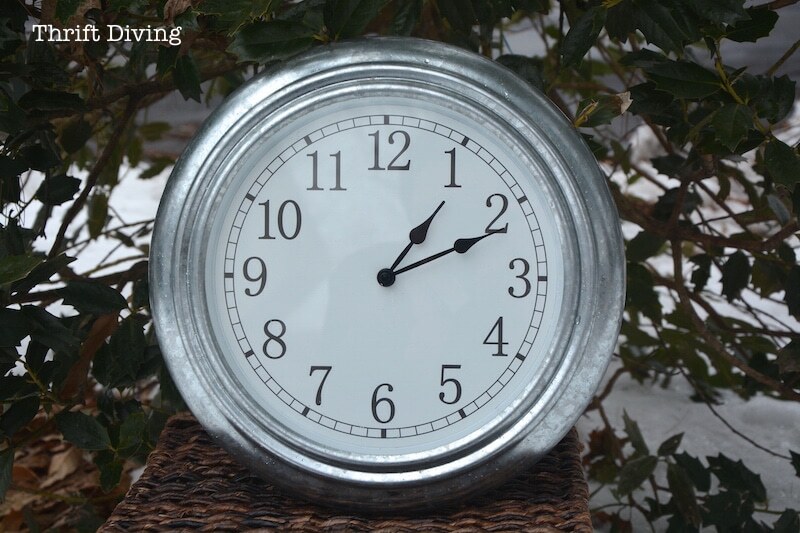 TIP: Although the hands may start moving when you insert a fresh battery, walk around the thrift store for at least 15 minutes and then see if the clock is showing the correct time. If the hands have fallen behind, the clock doesn’t work properly. 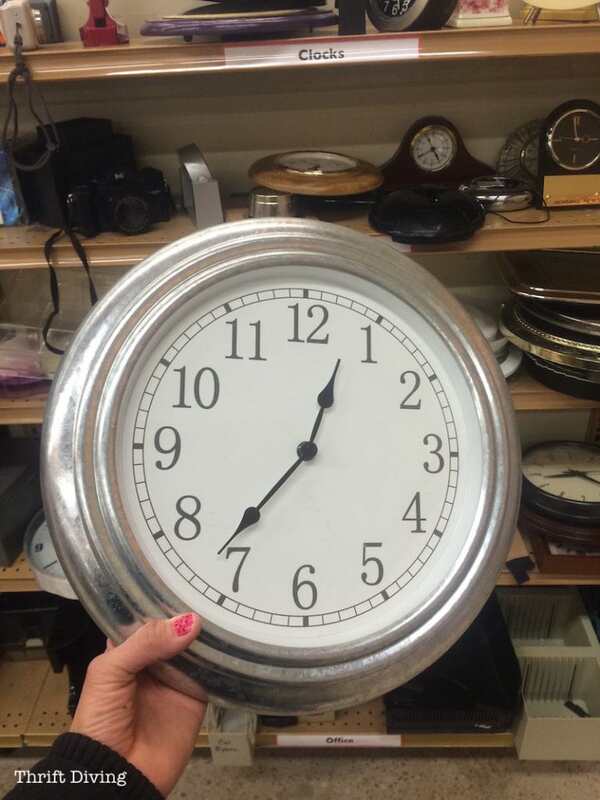 Considering another clock, make your own, or replace the hands! 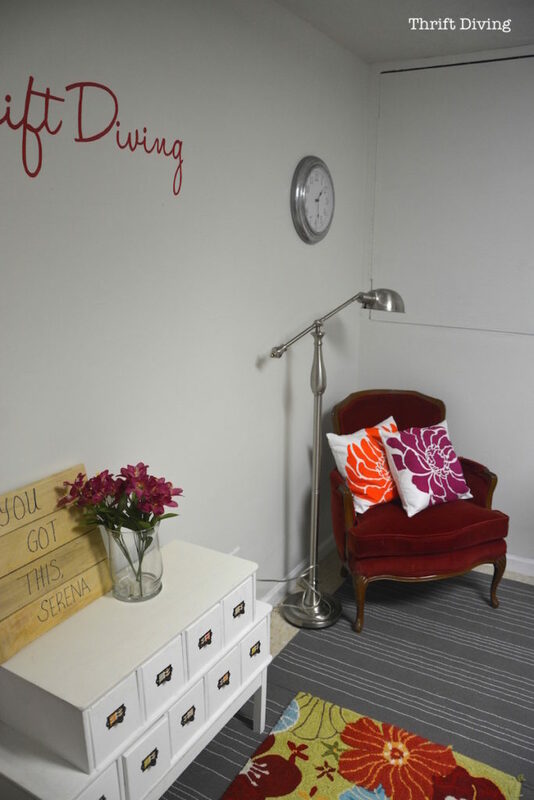 I took the clock home and hung it up in my new pretty basement office and craft area that I just completed, and I love it! 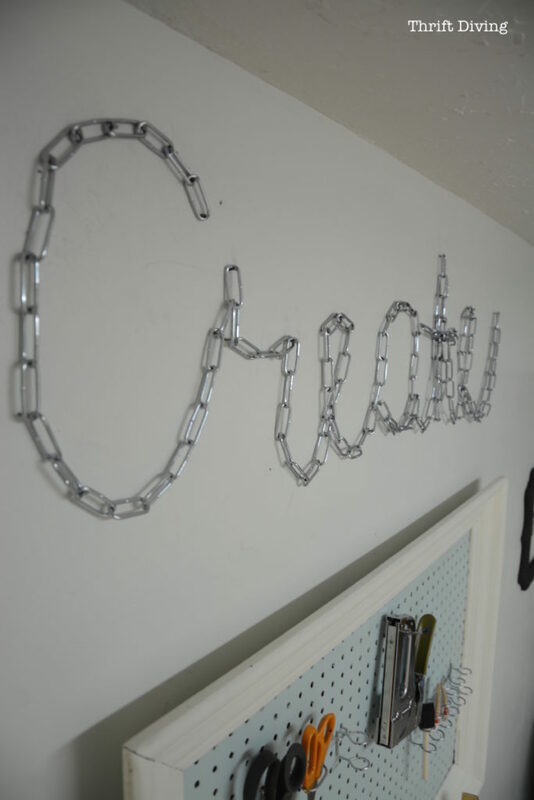 Here you can see how well it goes with my DIY chain wall art! Maybe I can also use it to teach my 5-year-old how to tell time :). 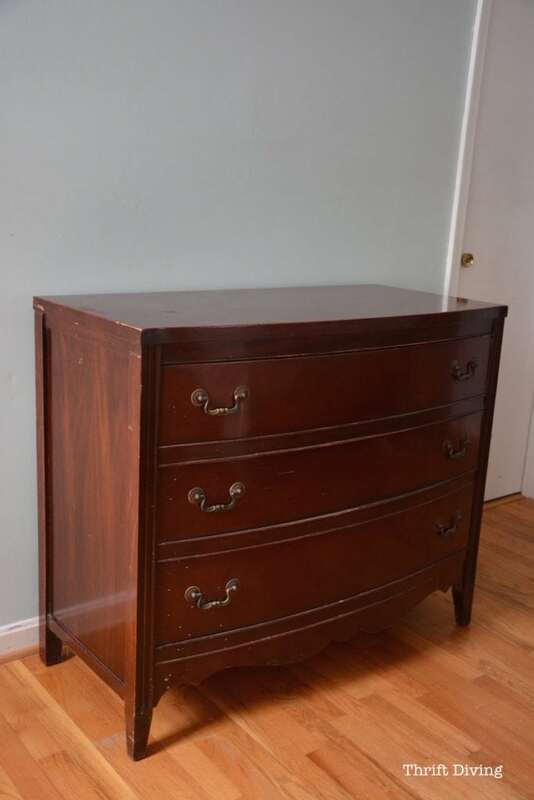 Dressers are a dime a dozen at the thrift store (at least they are at my thrift store!). And it’s one piece of furniture that everyone in your house will need, so you can justify buying multiple of them ;). 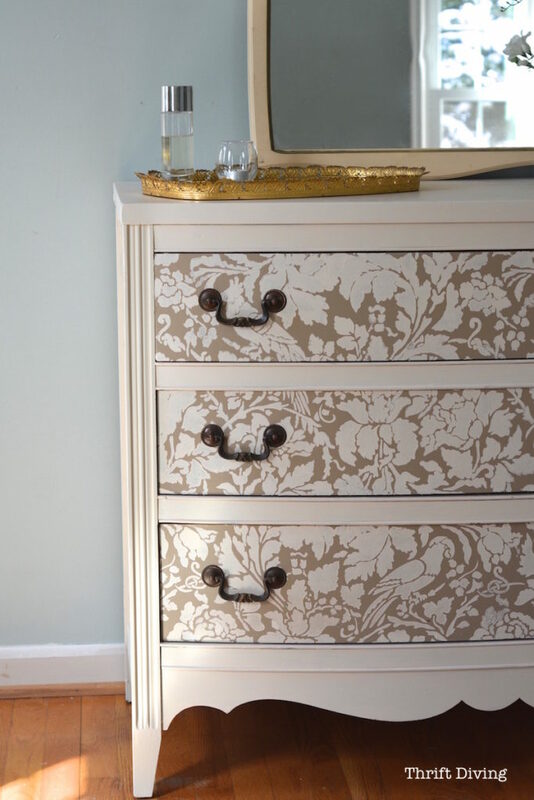 This amazing dresser here I had found in 2012 and it sat in my garage for a whopping 2-3 years. I’m making over my bedroom for March and knew it was the perfect time to paint it. I just completed it last week! 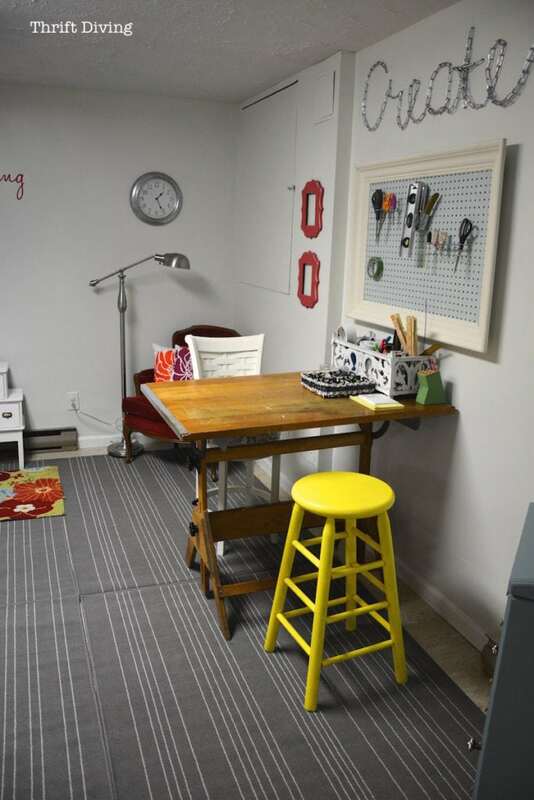 Watch the video here on how I completed this project! P.S. Don’t miss the bloopers part! 😉 For some reason I couldn’t say “brush strokes” and kept saying “breast strokes.” HA! 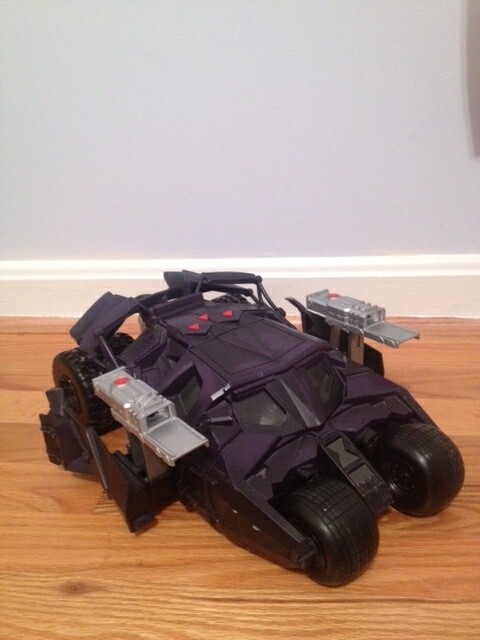 Kids’ toys at the thrift store are so unbelievably cheap compared to buying them full price. Often times, they’re missing small pieces or may be a little dirty. But if you look for the right ones, you’ll be surprised you can find a good deal. Kids love recycled toys! Oh, how I love putting emergency kits together…. 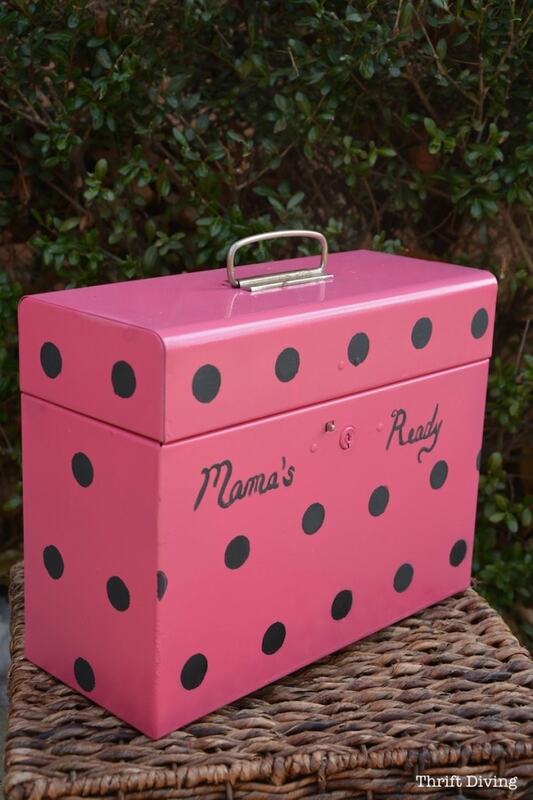 Give me a recycled metal container from the thrift store, and I’ll make it into some emergency preparedness kit! 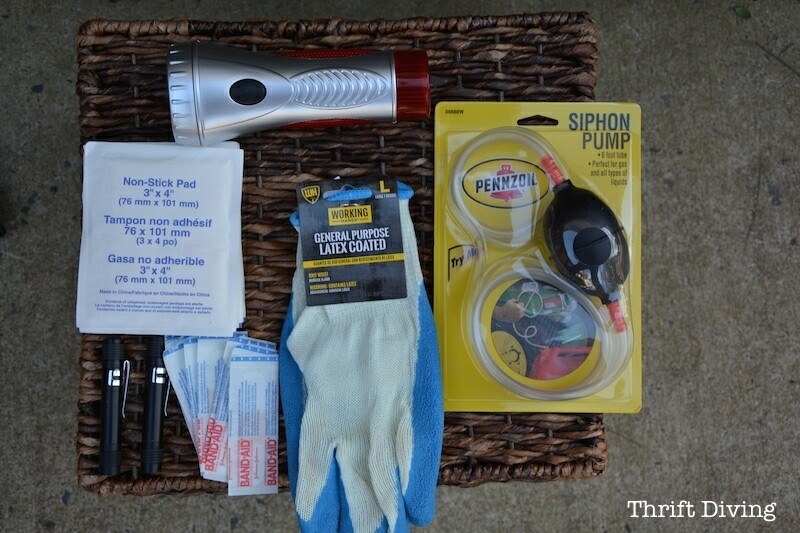 A couple months ago I put together a car emergency kit. 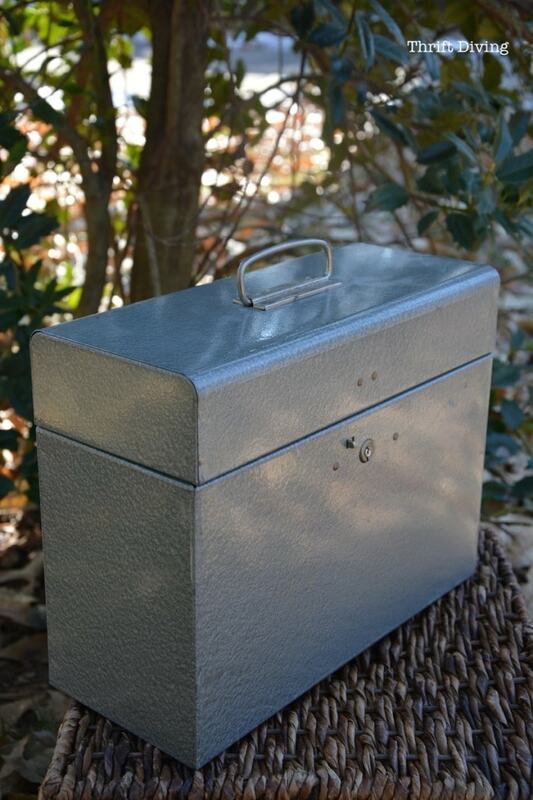 By using one of the metal boxes from the thrift store, you can easily create kits without spending a lot of money. Flashlights, knives, ropes, lanterns, etc. are easy to find at the thrift store. The rest you can buy from Walmart like I did, including the batteries. And you know they’ll hold for 12 years, so no worries about losing power when you need it most. Toss in some batteries with your thrifted flashlight and supplies and you’ve got power when you need it. 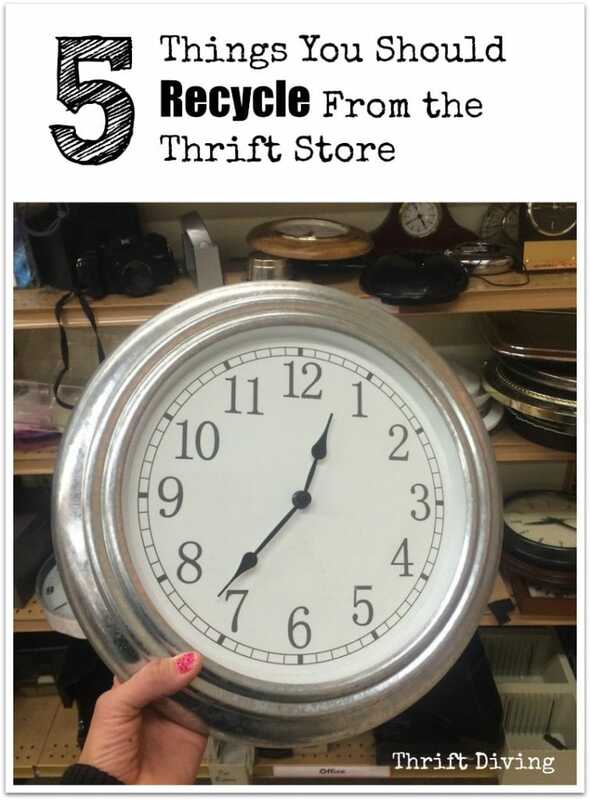 You know I couldn’t list my favorite 5 things to recycle from the thrift store and not mention clothing! As much as I love browsing regular stores, I find it wasteful to go and buy a whole new wardrobe when there are perfectly good (although ya gotta pick through) clothing at the thrift store. This is one of my favorite designer dresses I scored from the thrift store–some expensive designer named Rachel Pally. Whoever she is, she makes a darn good quality dress! And I think I paid all of $10.00 for it….?? So what does living a green lifestyle mean for you? And, of course, I want to know, what are your favorite things to recycle from the thrift store for a greener environment?? Leave a comment below and add to the discussion! My family calls me ‘the table lady’. I just love tables, REAL wood kind, with a little something-something to them to differentiate them from all the plain ol’, same ol; a bit of carving, or fretwork or scalloping. My latest find is from a Re-Store, the selling arm of Habitat for Humanity. They pick up donations from people’s houses, or you can bring your items to their stores. Or, people getting a new kitchen will donate their cabinets and lighting to this store, or contractors having a couple of extra boxes of tile, etc. The price tags are color coded, so the price goes down on items that have been there awhile. I picked up a lovely, all wood coffee table in walnut, brass feet, with a glass top, a ‘pie crust’ rim to it. I visited this coffee table for 3 weeks and one day – viola! – it was marked down to $10! Sanding, some wood glue for the wooden feet, and a couple of coats of combination stain and poly and its gorgeous! Another tip I have for you is that several thrift stores have Senior Discounts. The Salvation Army near me has an every Tuesday 20% off for Seniors. I asked what constitutes a senior at their store (it can differ widely) and theirs is 55! I never went to thrift stores much until I had gastric bypass surgery 6 years ago. The clinic recommended buying clothes at thrift stores bc you’d be moving down sizes rather quickly. So I went & not only found clothes- frequently new with tags- and SO many other great things! Btw.. I live pretty nearby in Hyattsville (near College Park) & I agree, there are some awesome thrift stores in our area! Yes, I know about those places.. I was a special education teacher in Montgomery County & the teacher next door to me was a thrift shop junkie.. she knew every store & what day were their sale days! I’ve stopped at your fave thrift shops on occasion & they do have nice things.. my fave for clothes & household things are a couple near me.. one is Value Village on 450/Annapolis Rd in Hyattsville & the other is on 202 in Bladensburg not too far from the Cross at the intersection of Baltimore Ave & 202.. in a small shopping center with a Checkers on the corner.. maybe we’ll run into each other some day when snooping around for treasures! Ok, well, I’m going to take note of those places so that I can check them out on a thrift diving outing! 🙂 Thanks for that! 90% of our HH goods, clothes, tools, almost everything we get second hand from thrift stores and garage sales, curb alerts, giveaways, dumpsters and trash day picks. I am always amazed at what some people throw away. Without doing this we could not afford to live like we do. My top picks from thrift stores are fabric, craft supplies, gifts for others, plant pots, household maintenance/repair materials. I’m with you–if it weren’t for thrift stores, I really don’t think I would have been able to pull together our house the way I have! Thanks for sharing your top thrift store picks! What kind of gifts do you find? I’d love to hear those! I am hunting for the perfect chair to sit in my kitchen. I picture a Sunday morning cup of coffee. I have yet to find it, my perfect chair, but the universe will provide. I love reinventing ANYTHING. One of my favorite things to buy at thrift stores is old metal shelving (Whether it’s an old CD rack, a dish drying rack, or who knows what else!) They come in handy! I once bought an old CD shelf, added hooks, mounted it to the wall of my closet and used it for my scarf collection! I could see them all and it worked perfectly! It’s amazing what you can do when you begin to think outside of the box! I also love buying bags of vintage/broken jewelry! I make new jewelry out of it and then sell it online! What a great idea, Emily! I see CD Racka all the time at the thrift store and I pass them by. I guess I’ll have to stop and look more closely next time! And how cool is that, buying old jewelry?! I’d love to find bags of it if I could! Thanks! 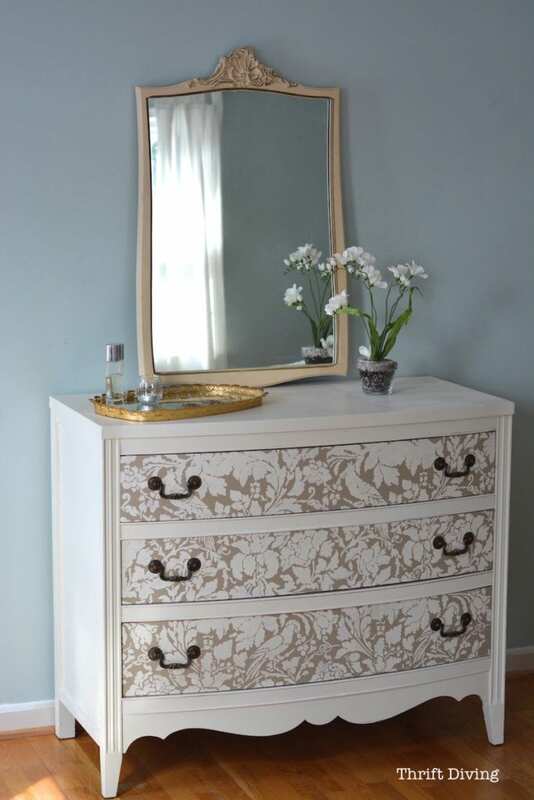 I love the dresser too! So thankful I don’t have to shove all my things into that old dresser anymore! Yeah, girl! Crazy you are NOT! Saves you from buying things that don’t work! I love to recycle/reinvent chairs!! My family jokes that whenever I go to a thrift store or antique market, etc, I always come home with another chair! I love to paint and reupholster and generally make tired, old chairs look bright and pretty again! My dining room table is surrounded by different color chairs – several in different shades of blue, a silver one, a gold one and a pink one too – all with different bright fabric reupholstery too!! My next colors will be yellow and “rose” gold!! That sounds like such fun! I bet you even get emails from friends when they have old chairs to get rid of! Lol. Great stuff! !